In this section the design of more then 120 coins and medals designed by me are presented. On the basis of some design 70 coins have either already been produced or are currently in the process of being made. 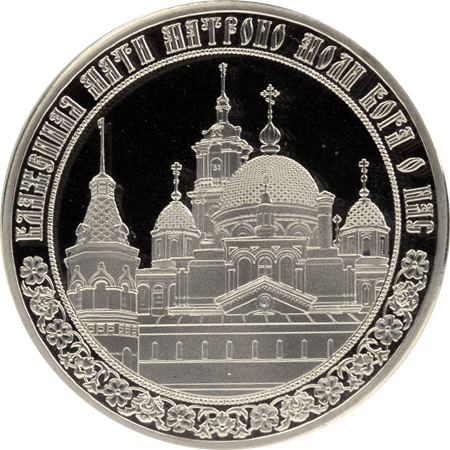 Other coins design are the property of the author and their publication is not promulgation of the project of the official bank note with a view of its subsequent use according to item 2 of item 1264 GК of the Russian Federation and on any use of the published sketch my consent should be received. During last time I managed to work for Treasures of Oz, Modern Numismatic International, Goznak, Sberbank, Perth Mint, New Zeland Mint. Tools: Photoshop, ink, pencil, acrilic paint. 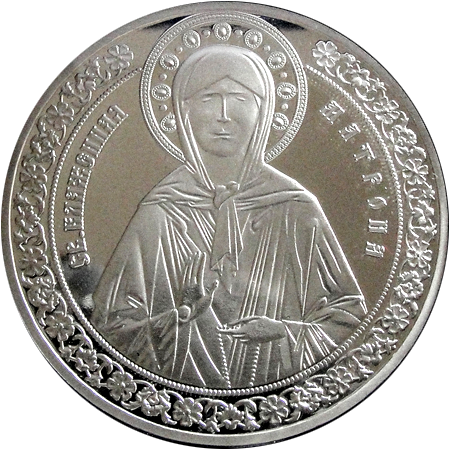 Matrona of Moscow - Holy of the Russian Orthodox Church, was born to Dmitry and Natalia Nikonov in the village of Sebino in Tula Province in 1881 (according to some sources - 1885). According to the legend, the parents initially wanted to leave the blind daughter in a shelter, but the mother changed her mind after she had a strange dream: a white bird of great beauty, but blind, sat on her chest. Natalia Nikonov decided that the dream was prophetic. Since she was 8 years old Matrona treated patients and predicted the future. About 1925 Matrona moved to Moscow. Among other things, she predicted his own death. She died May 2, 1952. She was buried at the Danilov cemetery in Moscow, her tomb became a place of informal pilgrimages. In 1998 she was exhumed, the remains were taken to the Danilov Monastery in Moscow, then moved to the temple in the Pokrovsky monastery and placed in a special tomb. In 1999 she was canonized as a local saint of Moscow, in October 2004 she was canonized by the Russian Orthodox Church. © Copyright Dmitry Fedorov 2011 Мoskow. The official site. Painting, drawing, coins and medals design, graphic 2D design.